While studying in Denmark, our class took a study tour to Brussels to investigate policy within the European Union. Here is my story. 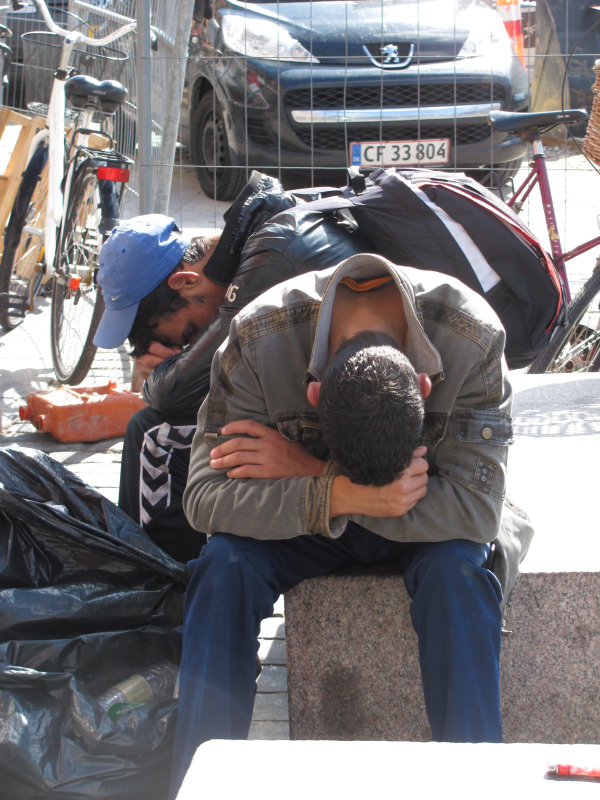 Denmark struggles with Sweden drug addicts crossing the border. by Bridget Honan and Leonie Lohwasser. It smells like urine and vomit. Two men crouching behind an oversized umbrella burn crack on an dirty, rusty teaspoon. A filthy, wrinkly hand opens to show different coloured pills â€“ methadon, sleeping pills, â€œdownerâ€, amphetamines. This is daily life on Istedgade in Copenhagen. The city tries to tackle the drugs and despair with safe injection rooms and free methadon, a substitute for heroin. But as Sweden has taken a zero tolerance approach to drugs, addicts are crossing the border to seek refuge in Copenhagen. This immigration of addicts is just one part of Europeâ€™s battle with conflicting drug policies. The Schengen agreement has opened the gates not only to a free trade of goods but also to uncomfortable issues like drugs. With freedom of movement drugs have become a problem of the European Union rather than a member state problem. But with no concrete legislative power, the EU is struggling to provide action on a rising drug problem, and member states are suffering for it. The European Commissionâ€™s Directorate General for Justice produced the Drug Action Plan for 2009- 2012. Itâ€™s main aim was to â€œsignificantly reduce the prevalence of drug use among the population and to reduce the social and health damage caused by the use of and trade in illicit drugsâ€. However, there is a problem with consistency between member states. While one country might make drugs a political priority, a country with less funding for social health may fail to act.Faye Watson, the Secretary General for the NGO Europe Against Drugs believes there is a lack of common goals between member states. But with no overarching enforceable legislation, one country can adopt measures to tackle drugs, but if neighbouring countries have different laws, itâ€™s difficult to put them in place. â€œWe do have European rules, but the problem is theyâ€™re not effectively enforced,â€ said Natasha Bertaud,press officer for Justice,Fundamental Rights and Citizenship in the European Commission. â€œThe European member states read these reports and rubbed their shoulders and that was it,â€ said the co-ordinator of ENCOD (European Coalition for Just and Effective Drug Policies) Joep Oomen. 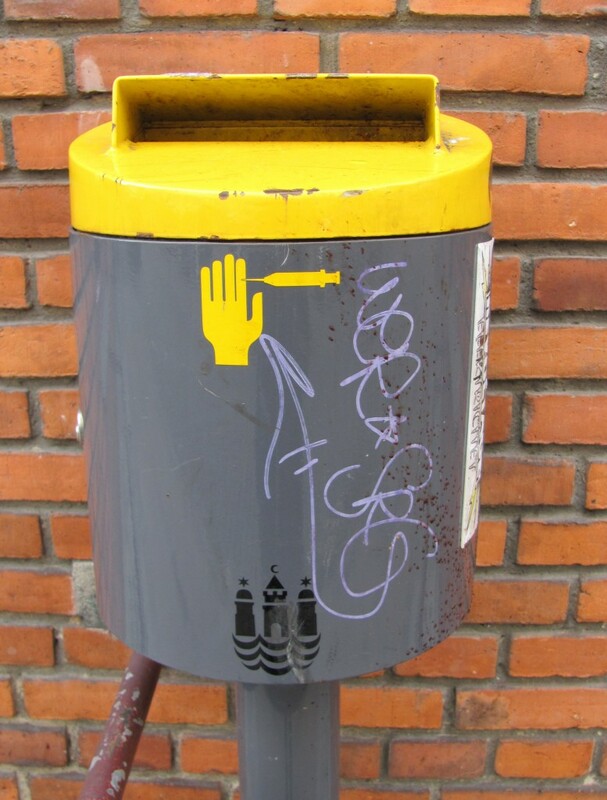 Safe syringe disposal units in Copenhagen, Denmark. Unequal policy between neighbouring countries causes drug tourism. The consequences of unequal drug policy are best demonstrated through the Netherlands, which previously had a liberal attitude towards cannabis. Consumers could easily purchase the drug over the counter at cannabis coffee shops, which led to a huge amount of â€œdrug touristsâ€ coming from less liberal countries all over Europe. The Netherlands has since had to implement a ban on foreigners entering cannabis cafes, where customers must now provide evidence of Dutch residency. â€œIf there is an outlet in a foreign country, this hides the problem in your own country. It makes it difficult for authorities to recognize it and find a common solution.The Dutch want to find a definitive solution but they need the co-operation of the Belgians and the Germans,â€ said Joep Oomen. European Union plans to become more integrated in social policy areas. But Ms. Bertaud from the European Commission is sure that the EU has the ability to move towards a more compounded approach. Ms. Bertaud mentions as an example, Vice President Vivian Redingâ€™s proposal to introduce legislation in 2013 tackling psychoactives. Psychoactive substances are substances not yet legislated against which mimic the effects of banned drugs.The legislation would include a directive banning psychoactive substances, or legal highs, which would result in actual union law. The legal basis for the EU to make legislative, drug policy is the Lisbon Treaty. The treaty placed the third pillar of Justice and Harmonization under community method, meaning the committee now has a legal standing to introduce legislation in the EU like drug policy. There is the possibility of criminal sanctions against states which do not comply, which is the first step towards a unified Europe. But even after this psychoactive legislation is introduced, the rest of the drug problem is relying on voluntary compliance with the Drug Action Plan. Joep Oomen believes itâ€™s nothing but symbolic policy making.